Every workspace (public or private) in BoomYEAH comes with the tools needed to create, manage, and deliver great e-learning contents. Public workspaces are open to the public whereas private workspaces are secured. Unlimited public workspaces are FREE! 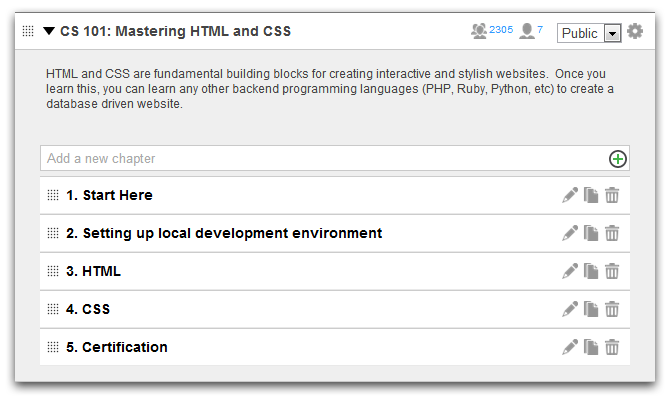 BoomYEAH lets you create courses easily. 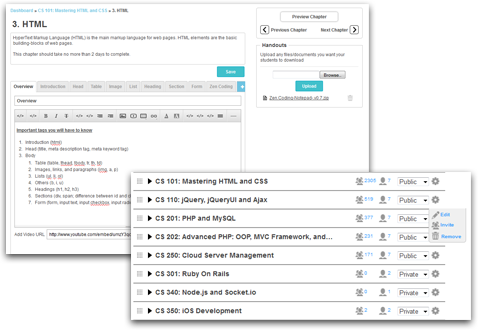 Create the course outline by entering course description and different chapters associated with the course. Customize each chapter according to your needs. BoomYEAH's modular approach lets you add text, videos, to-dos, quizzes, interactive chats to the chapter easily. 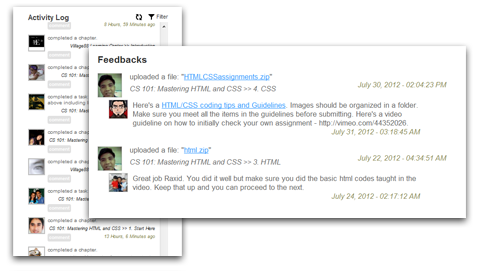 Instructors can also add one or many handouts and to-do sections which allow students to upload assignments. 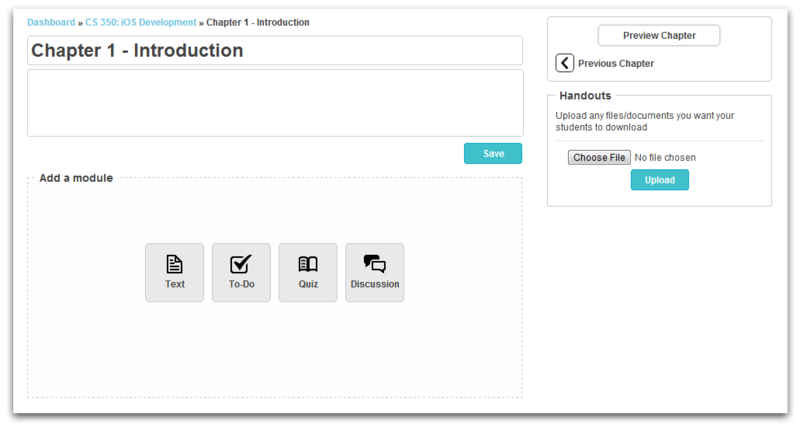 Intuitive UI allows instructors to add 20 to 30 times more content to a single chapter without sacrificing user experience. 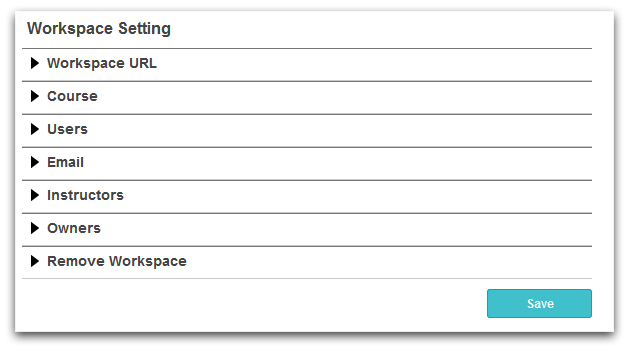 Course management in BoomYEAH is very simple. You never have to get stuck with the old content. Delete or update content as often as you want. With the public vs. private feature, you can control when you want to publish a new course or to make an old course private. Once the courses are published, students who are already member of the workspaces can enrol in those courses. 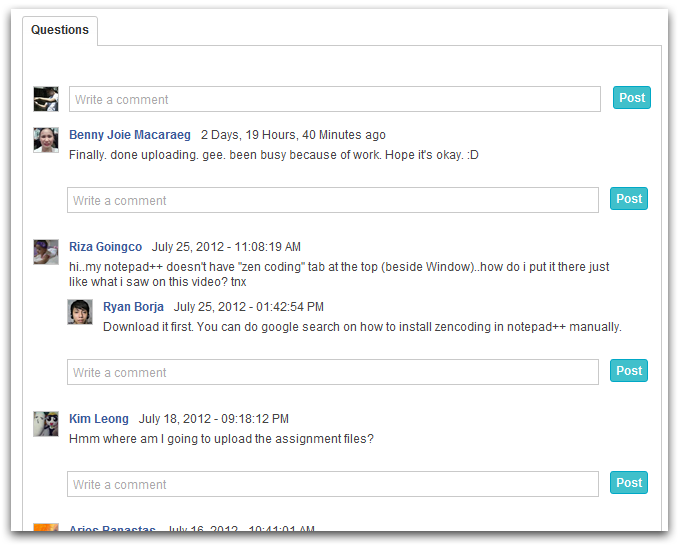 Through the Manage Students or Instructors dashboard, you have the option to invite students directly from the course. 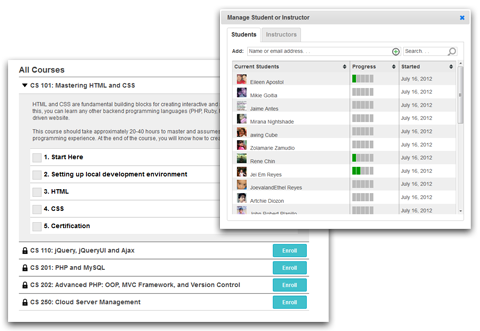 This dashboard also allows instructors or administrators to check the progress of each student. 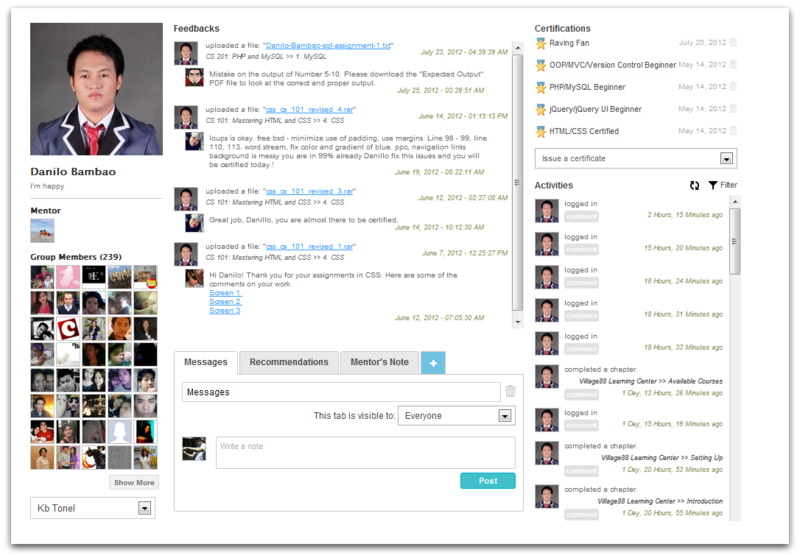 BoomYEAH allows instructor-to-student interaction through student profile page or through activity page on student dashboard. BoomYEAH allows student-to-student interactions through interactive discussion modules added on the chapters.